The New York State manufacturing industry has experienced an astounding 9.3% growth in exported goods from 2010 to 2017, according to the Center for Manufacturing Research. This is great news for the NYS manufacturing economy, especially for small businesses which make up nearly 95% of all New York manufacturing exporters. While the positive turn is encouraging, manufacturers know that this success cannot be maintained without careful planning. Despite the seven-year trend, exports have recently dropped below $60 billion for the first time since the upswing began in 2010. 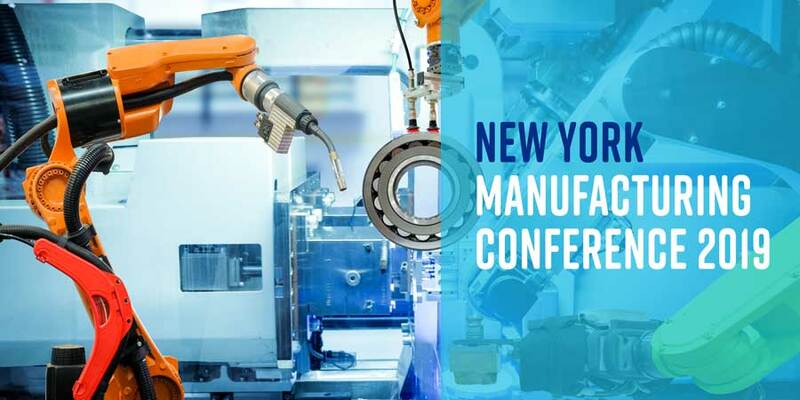 The Center for Automation Technologies and Systems will be tackling this setback, among other challenges, at the 2019 New York Manufacturing Conference on May 1 in Troy, New York. CATS invites manufacturers to a day of discussion focused on practical solutions for maintaining the growth and success that New York State has experienced. Keynote Speaker Bill Pollock, founder and president of Optimization Technology, Inc., will speak about Building on NY’s Manufacturing Legacy in the Fourth Industrial Revolution. The conference will be based on two specific tracks. The first track will focus on automation and robotics, while the second track addresses advanced manufacturing. General information sessions will be included during breakfast, lunch, and dinner.